For too long, the Pennsylvania Rules Committees have been allowed to twist and pervert the procedures to obstruct citizens access to hearings and jury trials. The rules need to be reviewed by the legislature as to their constitutionality – greedy lawyers are concocting procedures purely to rip-off the public –especially pro se litigants. I know of no pro se litigants that have ever escaped the courts undamaged emotionally and financially – and this is clearly by design. There are over a half dozen overlapping rules with conflicting time limitations to be able to adequately appeal. Its almost impossible to tell what is actually appealable –until the case is over, which by that time most people are broke or have suffered some other damage – like not seeing their children for years and having their homes forced needlessly into foreclosure. There is no reason on god’s green earth why every judge is not required to write on the orders- whether or not it is interlocutory aka interim. The truth is, that orders should never be unappealable – you cannot leave someone’s life to the discretion of one person-one judge- who has been paid off in campaign contributions. They are consistently denying people their rights- and the rules are increasingly being perverted to assist this. The courts are intentionally causing citizens to pay for appeals – which are now up to about $140 each- just to have them quashed as being interlocutory. There is a whole host of intentionally subversive rules designed to mislead people – and I have even seen attorneys not understand them. All geared towards maximizing the profits of the courts. You have interlocutory appeals by permission, interlocutory appeals as of right, rules what to do when the judge won’t give permission, applications for relief, petitions for appeal, mandamus – that give judges complete discretion to rob people blind… its complete insanity and no reason for it except to line all of your pockets. The word MAY- that has been replacing the word SHALL more and more since the Article V Section 10(c) was foolishly amended to the PA Constitution – is giving way too much discretion to judges. The system has become nothing more than a crime syndicate. 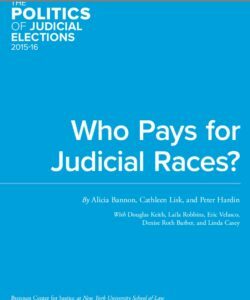 Your rules are facilitating the ability of judges to intentionally complicate and expand cases – which they use to to pay back campaign contributions from attorneys, by helping to increase the hours they can charge for. You further have allowed motions for summary judgments to be abused. Almost no one can get a civil trial, because judges use them to favor attorneys and dismiss cases- before an impartial jury can intervene. And then juries are not even allowed to be advised of their right to ignore all these bad rules and laws – through jury nullification. There is no due process whatsoever because the entire judicial system is nothing but the inmates running the asylum. The profession has destroyed the democracy for pieces of silver. It is an absolute disgrace what a train wreck the bar association members have made out of our courts. It really is a crime syndicate – justice cannot be provided through a commerce system. The country has fallen under a tyrannical oligarchy made up of lawyers. DO NOT FORGET TO COPY YOUR FAVORITE POLITICIANS AND THE JUDICIAL CONDUCT BOARD.